Ali Raymi, Yemeni junior flyweight boxer who counted 25 wins and no losses—with each one of those wins coming by knock out or technical knockout—died this weekend, on May 23rd. The 41-year-old died in an air strike in Yemen. His manager, Felix Arno, confirmed the news to RingTV. Currently, the Republic of Yemen—a country situated on the Arabian Peninsula to the south of Saudi Arabia, southwest of Oman and east of Eritrea across the Red Sea—finds itself stepping into the third month of a bloody civil war. The conflict arises from two groups’ dispute for control of the Yemeni government. Saudi Arabia and its allies have responded to the rebel insurgency by launching its own air raids versus the more dominant, Iran-backed rebel faction. 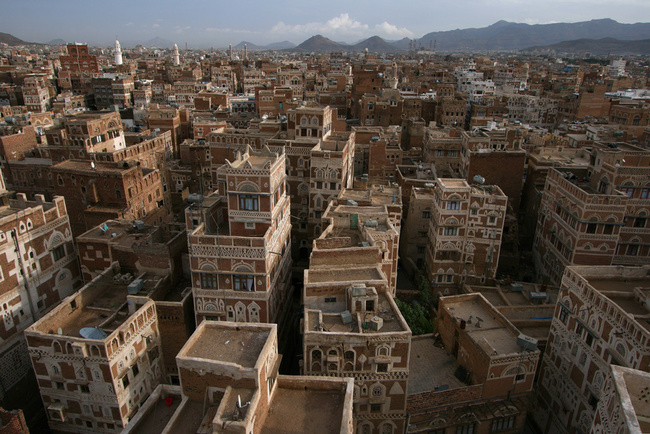 Last September, the Iran-backed Houthis seized the capital of Sanaa. On Wednesday, a Saudi-led airstrike killed at least 80 people in the Yemeni capital . A colonel in the Yemeni Republican Guard, Ali Raymi called out Roman Gonzales and Guillermo Rigondeaux—both undefeated—but they allegedly ducked his challenges. Reminiscent of Prince Naseem, the British Hall-of-Fame inductee of Yemeni descent, interviews with Raymi reveal a fighter basking in confidence despite a late start in the sport, at age 37. Raymi attributes his prowess in the ring to the demanding and unorthodox ways of his Captain Nasr Al Code, who was “eccentric and drank alcohol,” according to an interview with FightNews.com. He claimed in the same interview that his chin is titanium and his fists uranium, and that GOD is within him. Raymi last fought on March 28th, when he stopped Omar Moxamad in the first round. In a video from the event, Raymi walked out accompanied by an entourage of young soldiers brandishing assault rifles. Correction (3/18/16): In a previous version of this story, Ali Raymi was incorrectly identified as a lieutenant.